Ho! Ho! Ho! Christmas is around the corner and you will soon hear Santa’s favorite greetings as he brings your gifts. Have you ever wondered where he leaves all the gifts? Yes, some he keeps under the Christmas tree. But the rest of them, he puts them in the special Christmas Stockings you might have seen your parents hang around the house. Some of you must have hung these yourselves too. 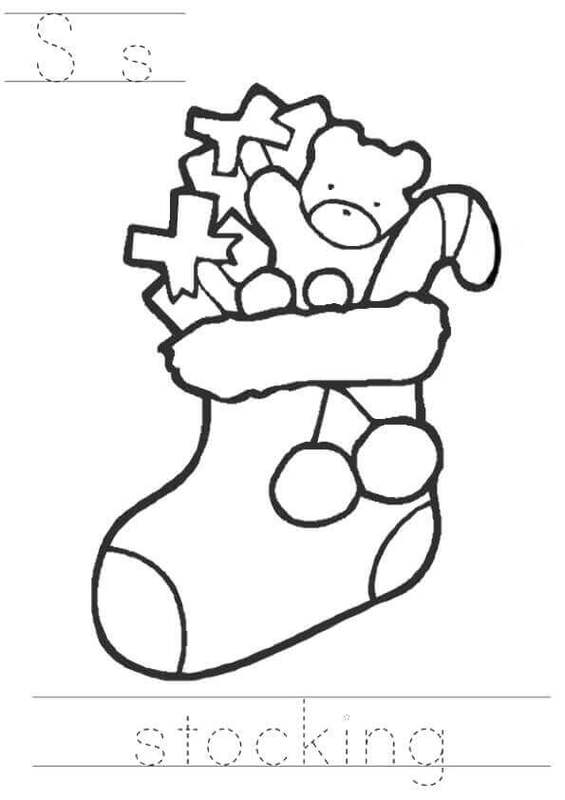 Hence, today we’ve got our readers free printable Christmas stocking coloring pages. 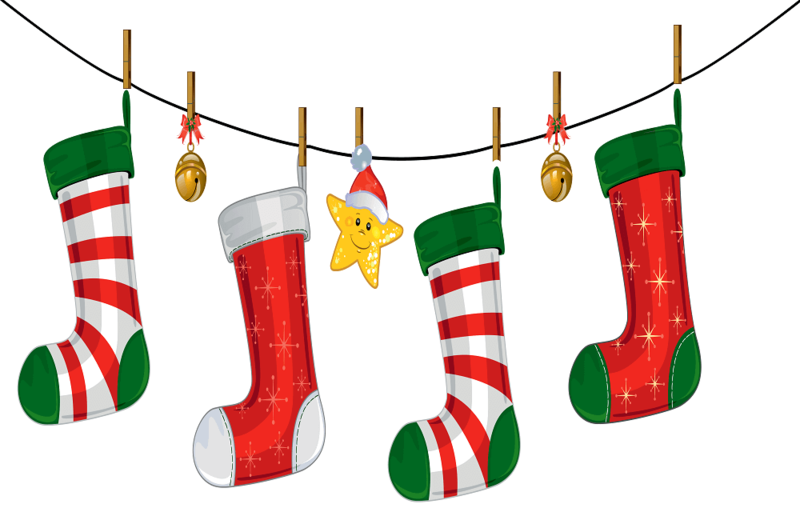 Christmas stockings are empty socks or crafted ones that are hung for Santa Claus to fill them with little gifts. He calls these gifts, Stocking Stuffers. Trust Santa to come up with fun names! Usually hung on the mantelpiece by the fire, some can be found hung on bedposts too. 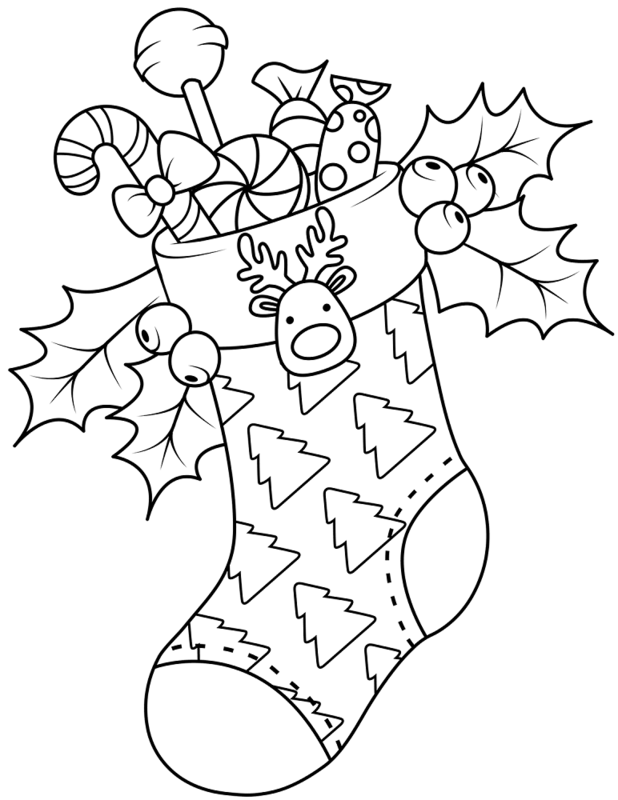 Below you will find our collection of free Christmas stockings coloring sheets to print to welcome the holiday spirit. This would be the perfect Christmas stocking for your house. Full of beautifully wrapped gifts and embroidered with exquisite designs, this Christmas stocking even has the approval of your pet cat. 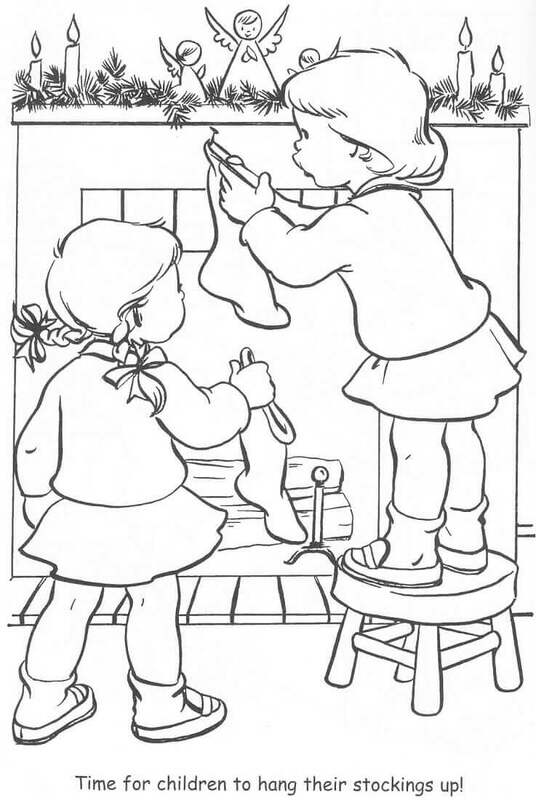 You can print this coloring page and let the details of this page come alive in colors. When it comes to Christmas decorations, “all hands on deck” is the policy to abide by. This little boy and girl are helping their parents set up Christmas decorations this year. They look like an expert, filling up the stockings with so many gifts and hanging them at the right place – the mantelpiece above the fireplace. It is time for you to put your magical hands to work by printing and coloring this page. If you are still new to coloring and need a helping hand to do a proper job, this coloring page will guide you well. 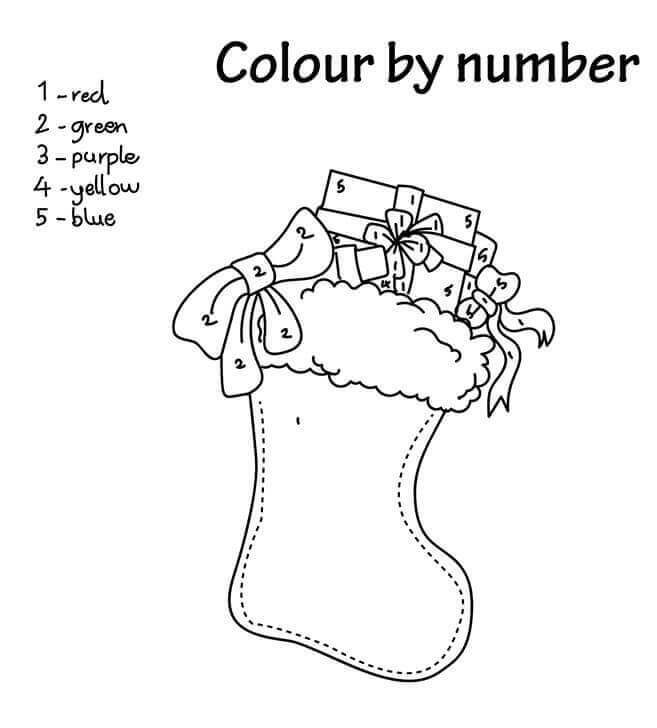 You will have to simply color the sections of this Christmas stocking according to the corresponding colors, like if you see “1” then color it red. Many families hang stockings on their doors too. 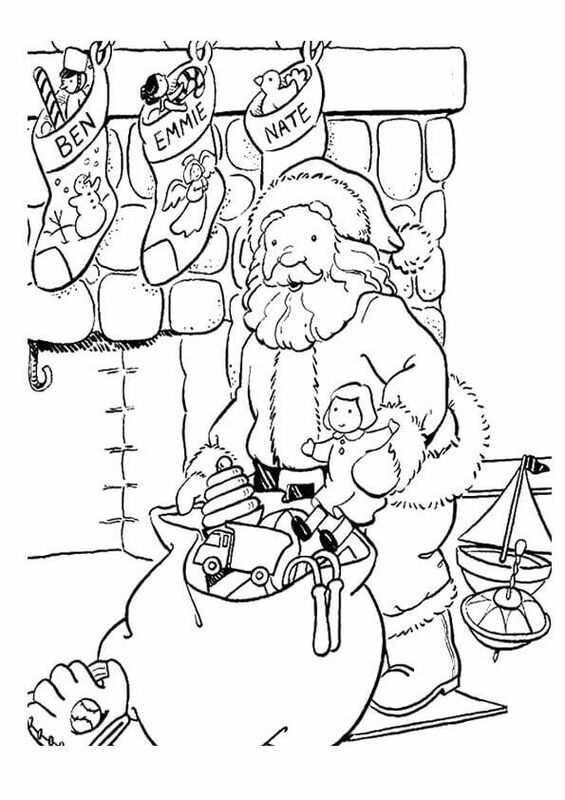 Like in this illustration, the Christmas stocking is hung together with the adeptly crafted Christmas wreath. You can print this coloring page and give this decorative combo some blooming colors. 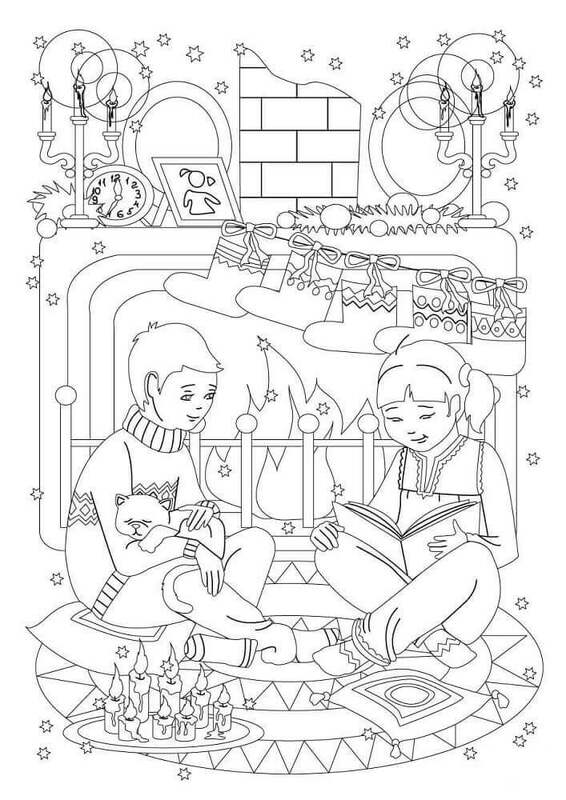 One look at this illustration on this coloring page and you will feel warm and fuzzy inside. The holiday spirit is wafting off this page. 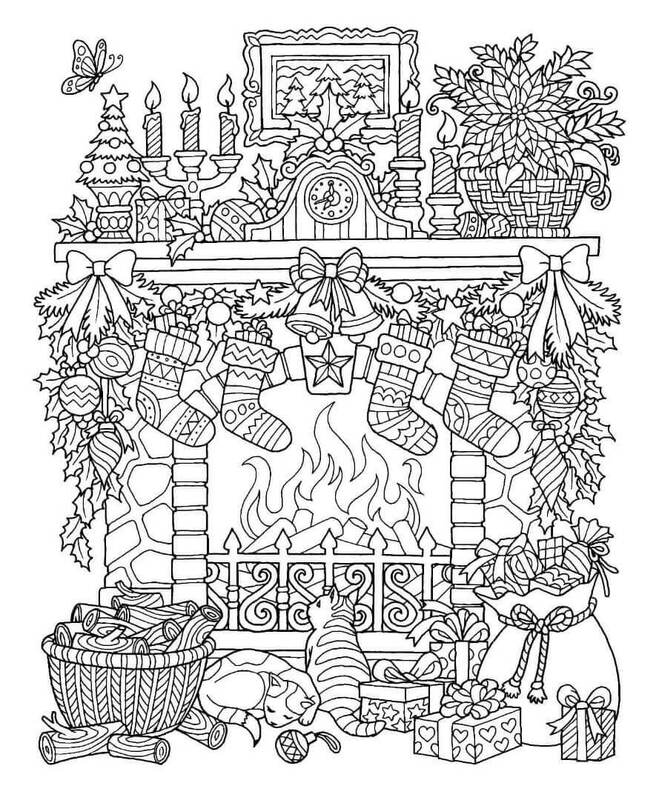 From the well-decorated mantelpiece to the gifts on the floor, from the burning fire to the rows of Christmas stockings and jingle bells, coloring this page will make you wish Christmas comes sooner this year. 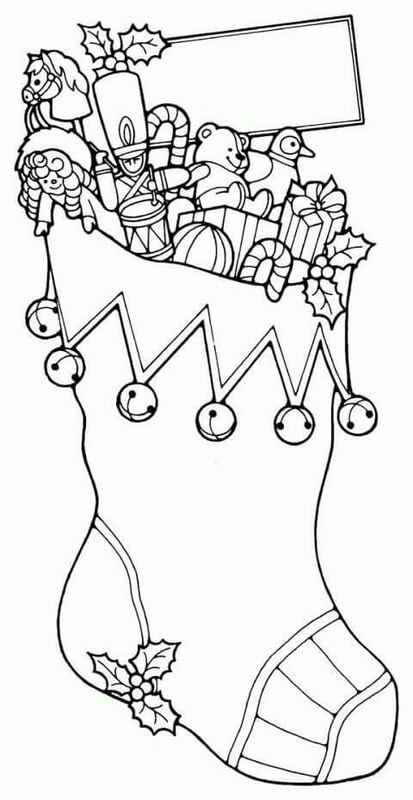 You can make your own Christmas stockings too. Look how a sock has been used to craft this pretty Christmas stocking. Stitching Christmas decorative pieces onto the stocking and tying it with a bow-tie ribbon. Once filled with ornaments and gifts your very own Christmas stocking is ready. 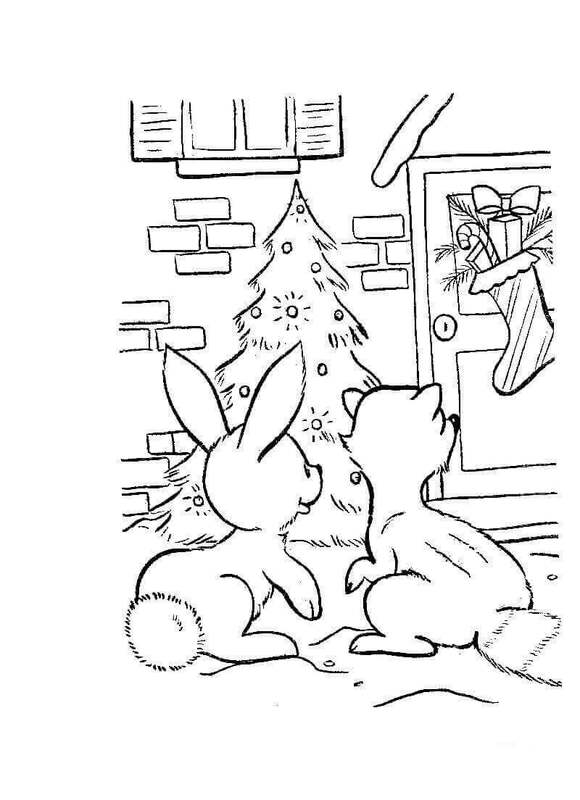 You can make this page Christmas ready too by printing and coloring it properly. A mandala generally refers to any geometric circular pattern or design, having radial symmetry in most cases. 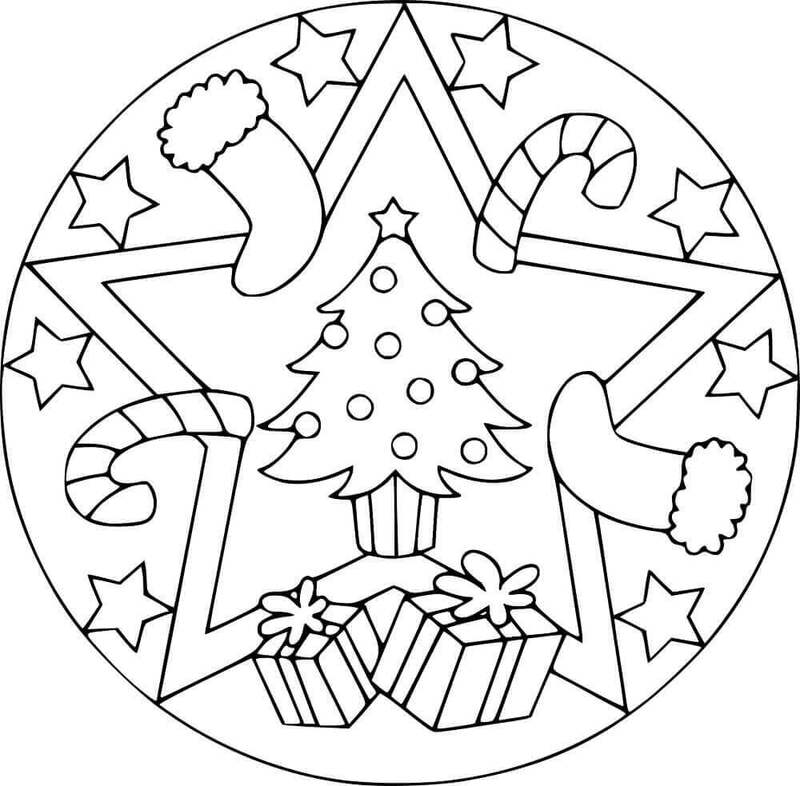 Here we have a Christmas inspired mandala for you to color today. Give this holiday scene the much-needed colorful interpretation. Have you ever wondered if Santa brings all the gifts to us all, who brings gifts to him? Well, the elves have got this covered. They make sure each year they keep a surprise gift in a special Christmas stocking for our dear Father Christmas. But the elves need your help this year, as conveyed by Mr. Whiskers on this illustration. 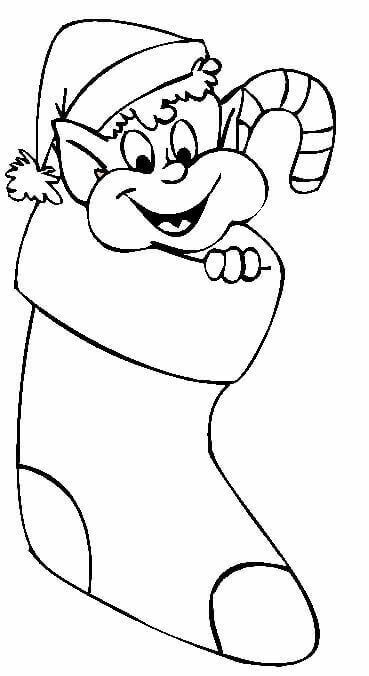 Print this page and help the elves with the Surprise Santa gifts. 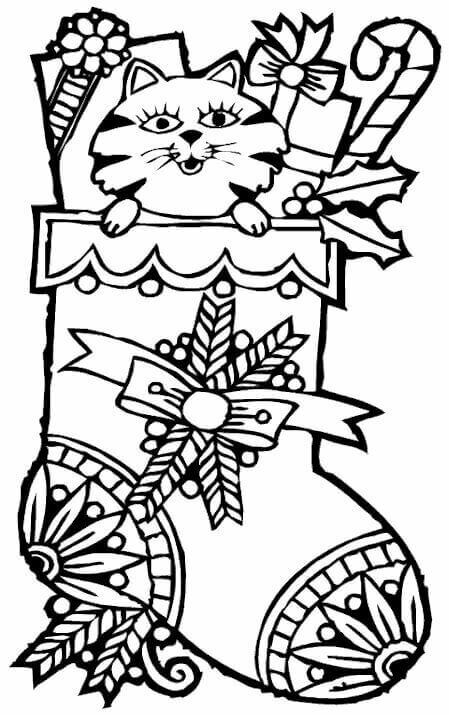 If you had a humungous Christmas stocking you too would be sliding down from it just like this little bunny here on this coloring page. 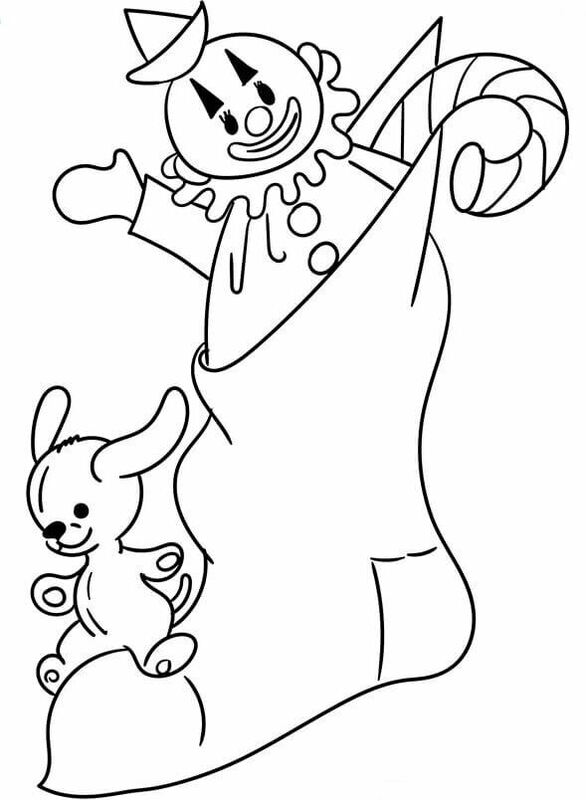 Look at him excitedly sliding down while the clown helps hold the stocking in place. 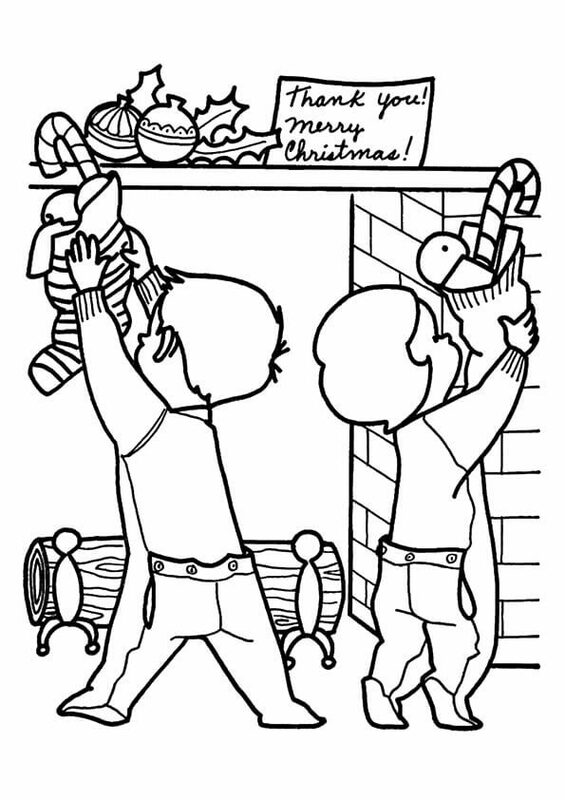 You can join in the adventure by printing and coloring this page. These sisters are making sure their parents don’t have to work hard this holiday season by hanging the Christmas stockings on their own. While one hangs the stockings, the other hand them over to her. Do you make a good team with your sibling too? 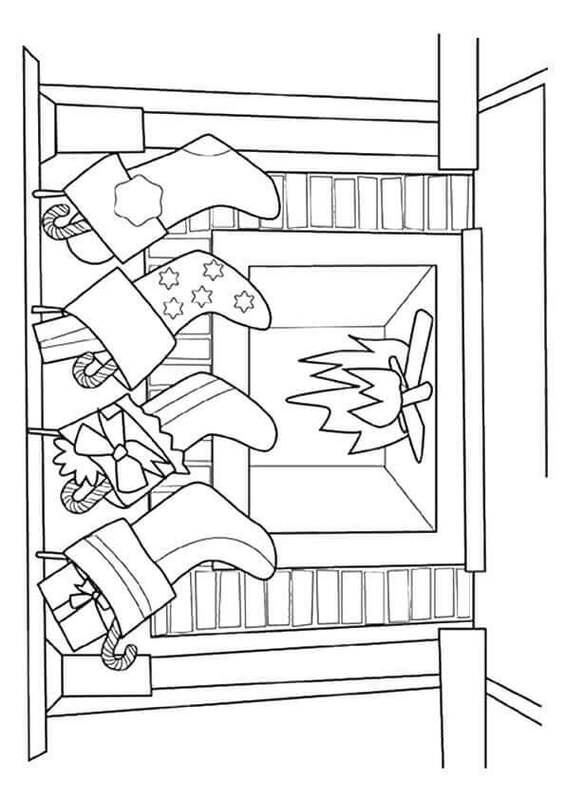 You can print this coloring page and work together to finish coloring it. We do not need a special time to say thank you to those who help us. But when the holiday season is right around the corner, it is inevitable to feel gratitude. You can make a thank you note, especially for them. Simply print and color this page and write your note in the space provided. You can hang them on your Christmas tree for your family or stick it to the gifts you prepared for your friends. 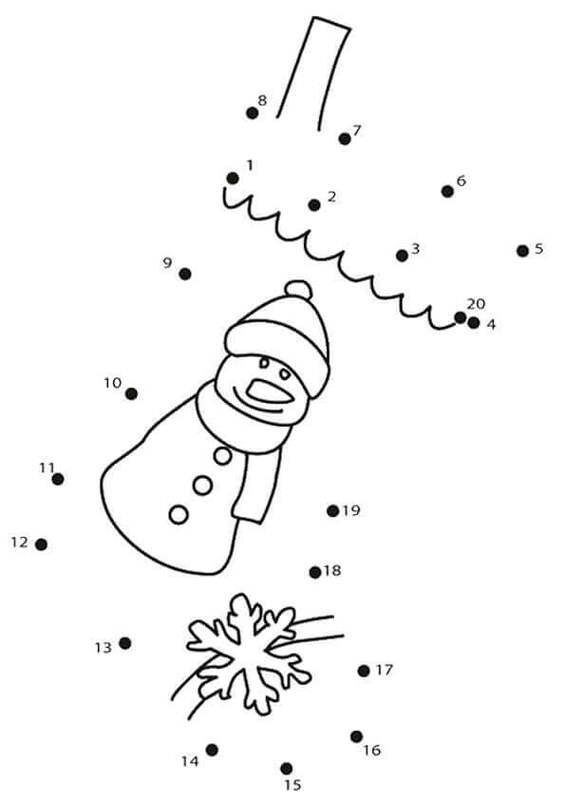 The snowman and the snowflake seem to be hanging in the air. Solve the mystery of where they both are by printing this page and carefully connecting the dots. You must connect the numbers in ascending order to reveal the colorful surprise. If Christmas is near, then how can reindeer be far? Bringing along special Christmas candy treats is this reindeer decorated Christmas stocking. Have a lip-smacking time coloring this illustration. 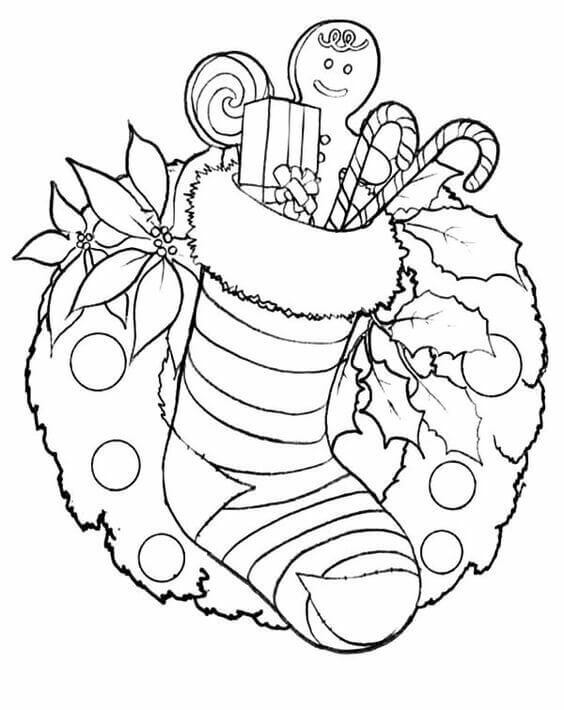 We are sure you will be rushing to have a treat once you are done coloring this. For those of you who have a pet at home, this illustration will come as no surprise. Our puppy friends have a knack of getting into curious nooks and corners of the house. During Christmas finding your little pet snug inside the stocking can be a fun surprise. 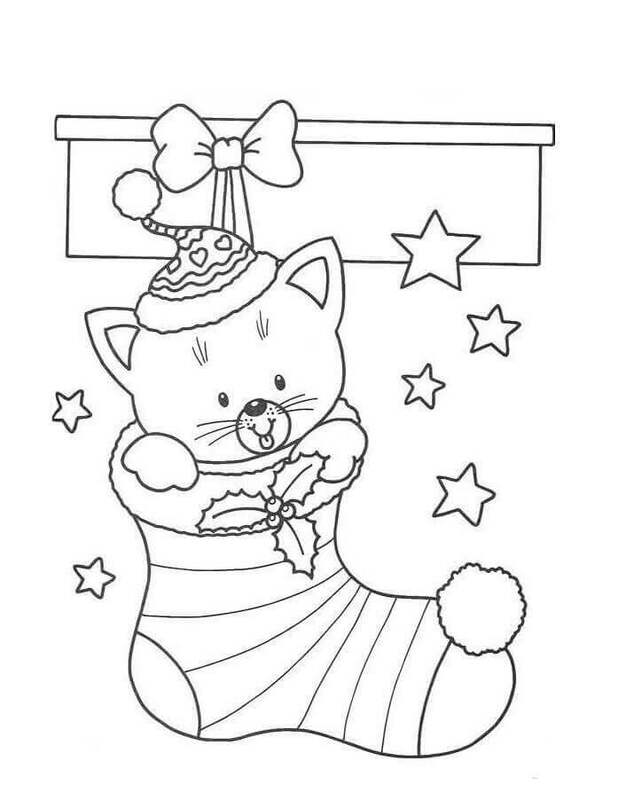 Print this page and surprise this adorable puppy and his stocking house with colors. Being as playful as they are, even elves have a habit of sneaking into the Christmas stockings when they are preparing the gifts. After all, Christmas is fun for everyone. If you are as hardworking as an elf, you deserve a little fun break in between. 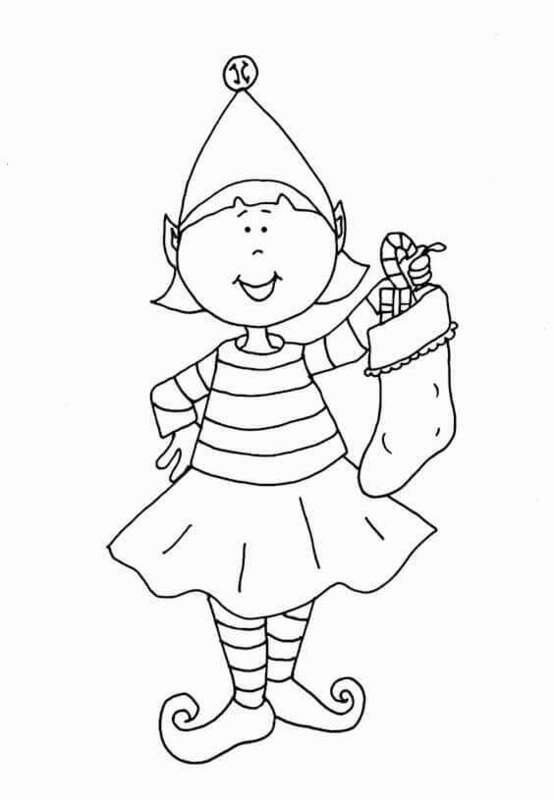 You can turn up the fun quotient of this naughty elf by printing and coloring this page. If the naughty elf was taking a fun break, this cute elf has just finished another of Christmas stockings gift packing. You can reward this elf for her hard work by printing this page and filling it with bright and entertaining colors. When Santa comes to this house on Christmas Eve, he will be so happy to see such beautifully designed stockings and fill them with generous gifts. You too can work diligently to give colors to this holiday setting on this page. Take a print out and fill in colorful details. 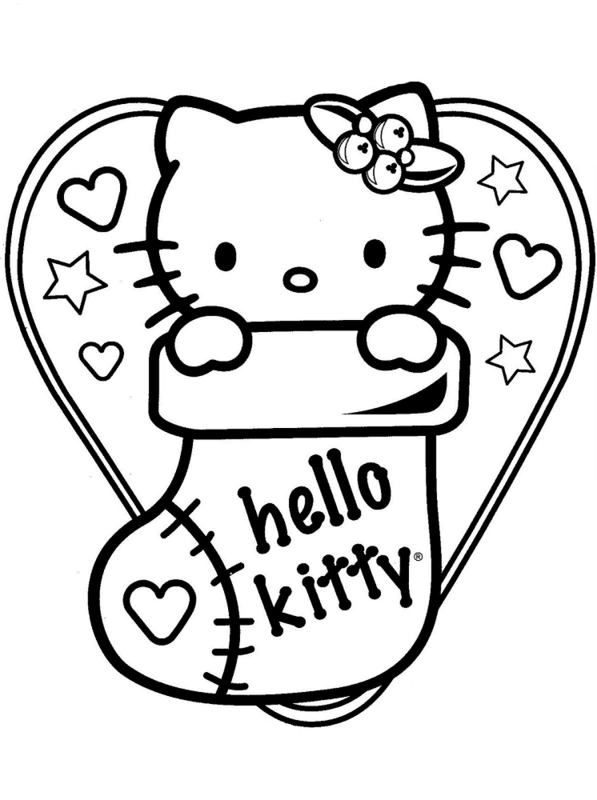 Hearing about the puppy in the Christmas stockings, the ever-popular Hello Kitty is here posing for you from inside a specially made Hello Kitty Christmas stocking. Print this page and let the exuberant attitude reflect in your brilliant coloring skills. Once all the Christmas decorations are done, it is a waiting game on the night of Christmas Eve. Waiting can become boring. But not for this brother and sister. They have prepared games and book-reading sessions while waiting for Santa Claus to bring their gifts. You can motivate them by printing this page and coloring it in great details. If Hello Kitty was inspired by the puppy, this lovable kitten was inspired by Hello Kitty. She is trying to fit in and seems to be a having a cozy time inside this snowy designed Christmas stocking. You will find it hard to resist smiling while you color this page. Now, what do you think is Jerry up to with this Christmas stocking in his hand? The smart one from the fun Tom and Jerry duo, Jerry seems to be plotting another brilliant prank for poor Tom. No matter what it is, the holiday season for this dynamic duo will certainly be full of fun and adventures. 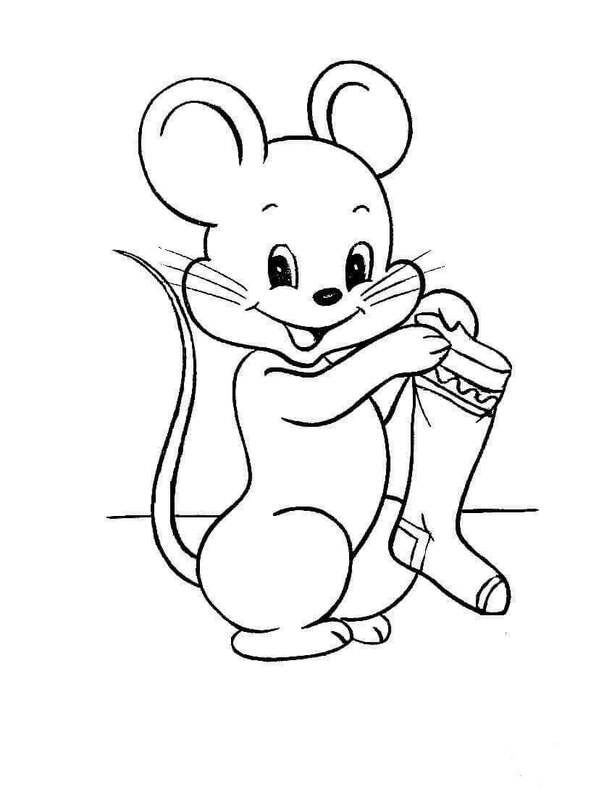 Capture the mischievous smile of Jerry by printing and coloring this page. You must have some great ideas about what all you want to use as Christmas Stocking Stuffers. There can be sweet treats like candies or wonderfully wrapped gifts or Christmas ornaments. Or you can come up with your own unique stuffers. Print this page and list them one by one, after you color this page. Christmas is a magical time. Look at how the usual enemies, the rabbit, and the fox, have come together this holiday season. They are admiring the lovely Christmas decorations and seems to be eyeing the treats inside the Christmas stocking. Print this page and work wonders with your colors on it. Time to revise your alphabet lesson with this coloring page. 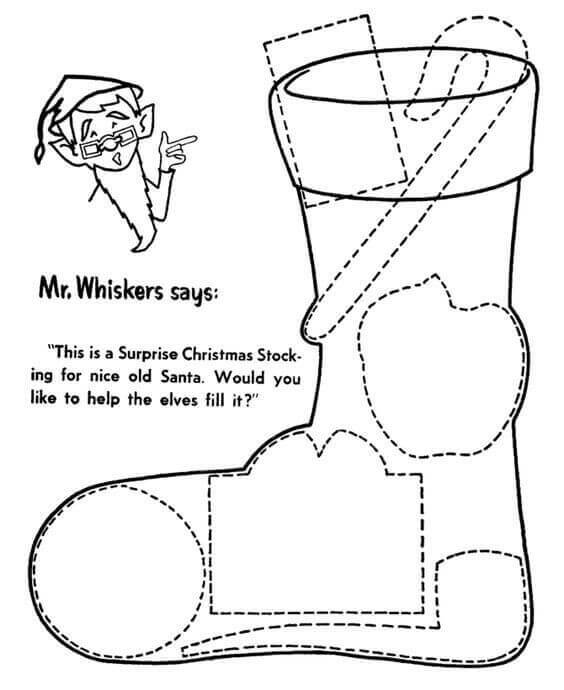 Looking at the illustration of this giant Christmas stocking, when you think of what “S” stands for, your immediate answer will certainly be “Stocking”. “S for Santa” will be very happy with your “S for Smart” answer. On Christmas Eve, Santa Claus will be busy visiting homes, leaving gifts for all the good children around the world. His bag full of gifts, you can see Santa here filling up the stockings in this house. He is happy that the stockings are labeled, as it makes it easy to sort the gifts. Kate, Ben, and Emma have got different gifts. 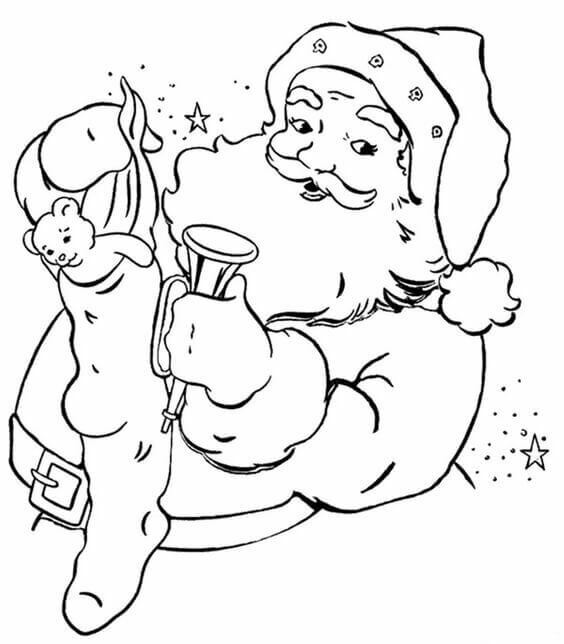 Help Santa by printing and coloring this page, including all the gifts in different colors. This Christmas stocking boasts of snowflakes designs and Christmas berries embellishment on the toe tip. Even an ornament of Santa is used as a stocking stuffer. Print this page and color each element accurately. Saint Nicholas or our dear Santa is carefully stuffing this Christmas stocking with a teddy bear for the little boy in the house. He will be so happy when he sees it in the morning. You will be as excited as the boy, when you too get your gift on Christmas. Let’s thank Santa for his hard work by coloring this page sincerely. Have you bought your Christmas cards yet? If not, you can create one on your own. 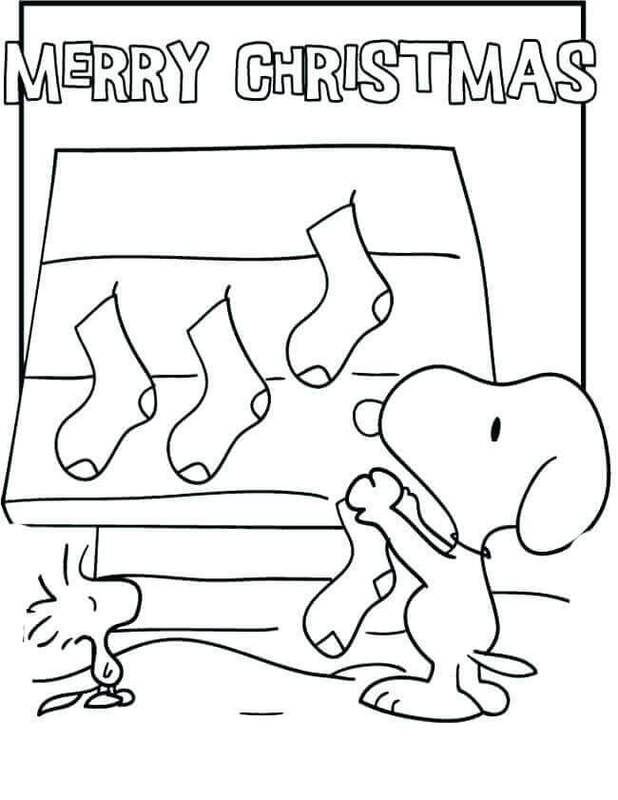 This Snoopy inspired coloring page can be an apt Christmas card, with its Merry Christmas wish on top. Print this page and carefully color each element. You can write the name of your family or friends on the stockings Snoopy is hanging here. Santa seems to have already visited this house. Look at those filled-to-the-brim Christmas stockings hung on the mantelpiece. 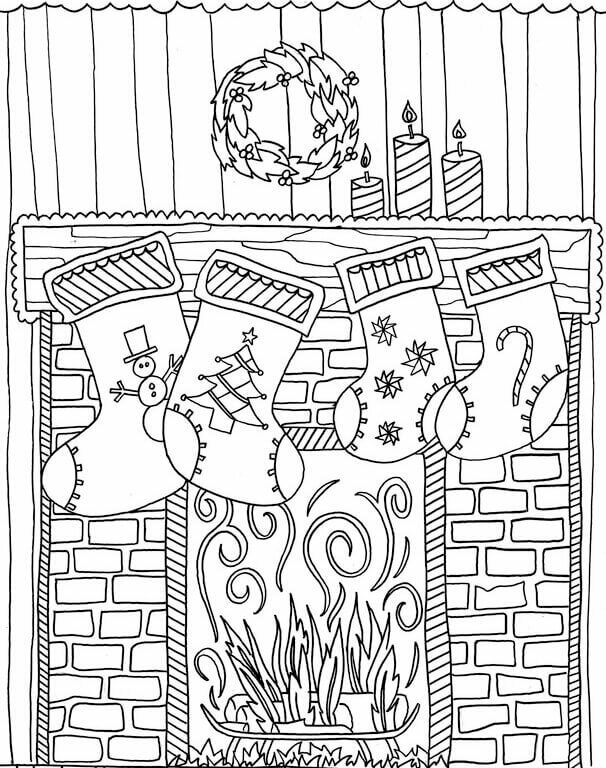 Bring out the warm glow of the fire and the bright colors of the gifts by printing and coloring this page. The joyful atmosphere all around marks the holiday season. Brimming with joy is this little teddy bear looking so happy with his stocking stuffers. 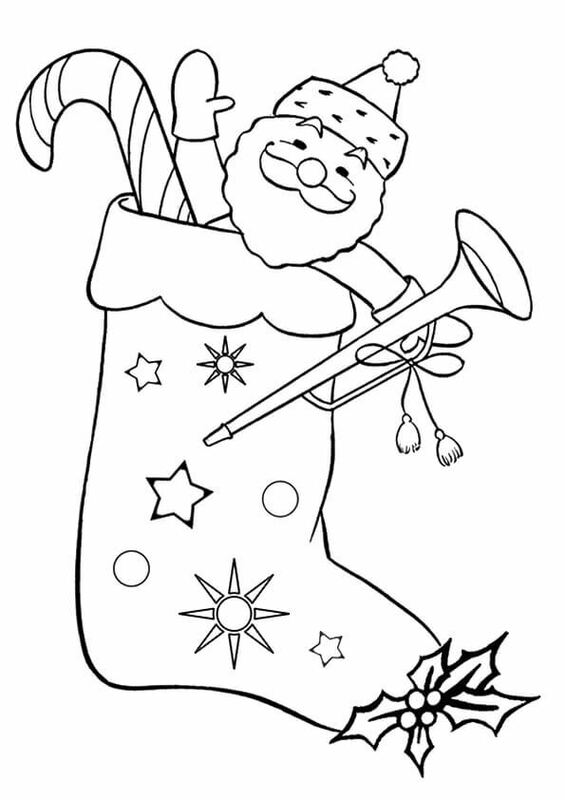 Add colors to his joy by merry printing and coloring this page. 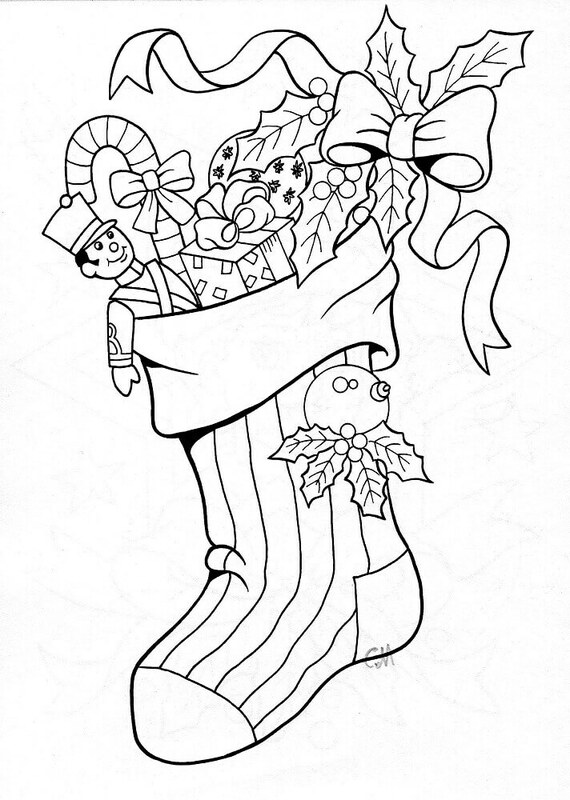 Hope you are inspired to craft your own Christmas stockings after going through this stunning collection of Christmas stockings coloring pages to print. 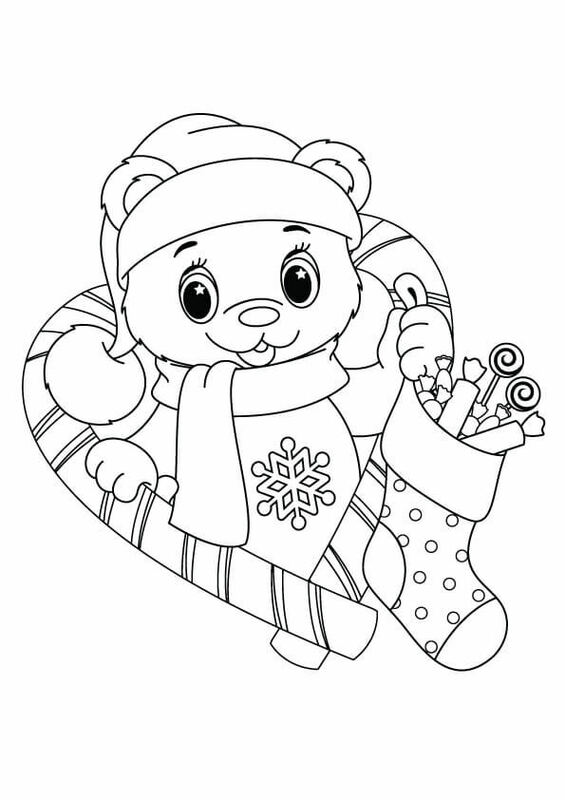 In case you are unsure of your skills, you can always help your family with the festive decorations, as shown in some of these coloring pages. After all, Christmas is all about togetherness and the holiday spirit of sharing and caring for each other.